Book Aid International - Supports literacy, education and development in sub-Saharan Africa through increasing access to books. Boys and Girls Clubs of America - Club programs and services that promote and enhance the development of boys and girls. Breast Cancer Site, The - Founded to help offer free mammograms to underprivileged women nationwide - women who will possibly go undetected, and even die - without proper screening. Catholic Charities USA - One of the nation's largest social service networks. Catholic Charities agencies and institutions provide social services to people in need, regardless of their religious, social, or economic backgrounds. Center for Car Donations - Assists nonprofits in raising funds through donated vehicles. Changing the Present - Browse nonprofits, donation gifts, and news from your favorite causes. Combined Federal Campaign (CFC) - An annual fund-raising drive conducted by Federal employees in their workplace each fall. Each year Federal employees and military personnel raise millions of dollars through the CFC that benefits thousands of non-profit charities. GiftLaw - Estate planing information from the Iowa State University Foundation. GiveSpot - Resources for charity, philanthropy, volunteerism, activism, where to donate money, researching charities, humanitarian relief, government programs, fundraising, shopping, social issues and more. Goodwill Industries International, Inc. - Contact your local Goodwill to find out where you can drop off your donations or how you can have them picked up. HopeMob - Just as Flash Mobs dance and bring spontaneous joy and laughter, HopeMob brings caring strangers together to create sudden, yet organized relief and hope all over the world. See a need and swarm it. Hunger Site, The - Focuses the power of the Internet on a specific humanitarian need - the eradication of world hunger. The donations of staple food are paid for by The Hunger Site's sponsors and are distributed to those in need by the United Nations World Food Programme, Mercy Corps and America's Second Harvest. Donations are split evenly between these organizations and go to the aid of hungry people in over 80 countries, including those in Africa, Asia, Eastern Europe, the Middle East, Latin America and North America. 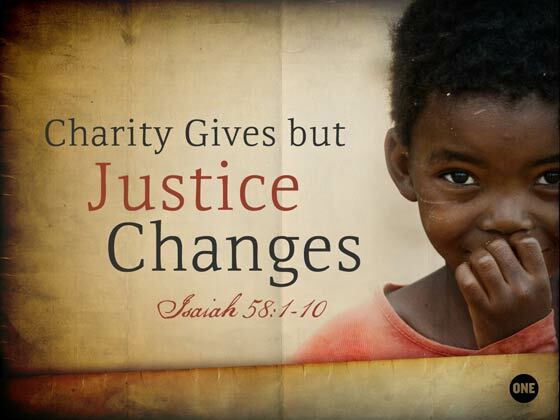 Just Give - A nonprofit organization whose mission is to connect people online with the charities and causes they care about and to increase overall giving. Kids AIDS Site, The - Helps provide HIV care, education and counseling to pregnant women and mothers with newborns. Visitors to the site donate free care to help reduce the transmission of HIV from mother to child and HIV education. The donations from the site go to the Elizabeth Glaser Pediatric AIDS Foundation's Call to Action Project. Progress Unity Fund - An alternative to mainstream charities helping to fund the educational and organizing work of the International Action Center. Rainforest Site, The - Visitors to this site can save a free area of rainforest. These donations, distributed by The Nature Conservancy, are paid for by The Rainforest Site's sponsors. Rally - Share your story. Raise money. Connect and fundraise around causes. Refunds for Good - The Campaign has two main purposes: 1) to help individuals, businesses and non-profits get their maximum federal excise tax (FET) "War Tax" refund, and, 2) to inspire individuals and organizations to support worthwhile non-profit groups working to combat global warming and to end global conflicts. Razoo - Raise money online for your nonprofit or charity. Create an online fundraising page for your campaigns and events, or donate to any US registered nonprofit. Salvation Army International - Thrift stores, eventide homes, hostels and children's homes are just a few of the wide ranging activities the Army conducts around the world. Salvation Army USA - Dedicated to caring for the poor, feeding the hungry, clothing the naked, loving the unlovable, and befriending those who have no friends. Seedcorn - Committed to community building, social jjustice, peace, local self-reliance, and sustainable development. Many new community-based organizations struggle to establish themselves, often reinventing the wheel instead of mobilizing around their concerns. Seedcorn offers them a tax shelter under its own 501(c)3 status, gives organizational and networking assistance, and provides educational resources, networking tools and community facilities. In addition, Seedcorn maintains several in-house Programs and Projects relevant to these core areas of concern. This webpage last updated on Tuesday, October 11, 2016 5:10 PM.